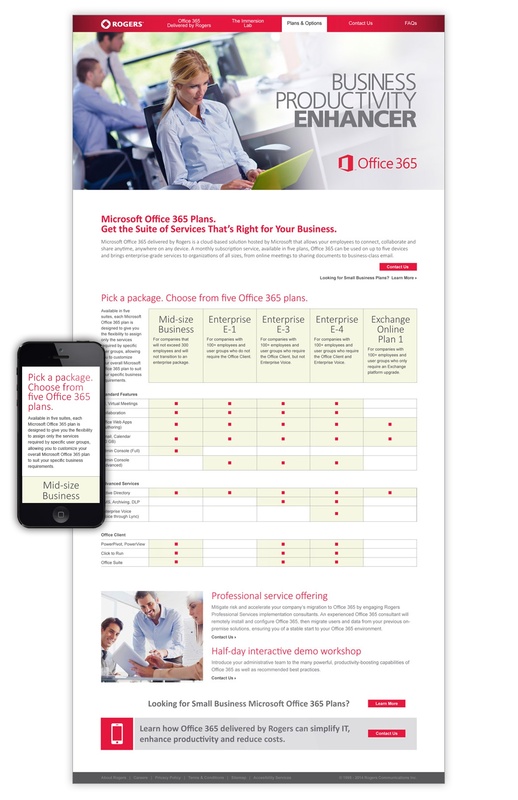 Many of Rogers existing SMB customers were unaware of what Microsoft Office 365 was or that Rogers offered this solution. 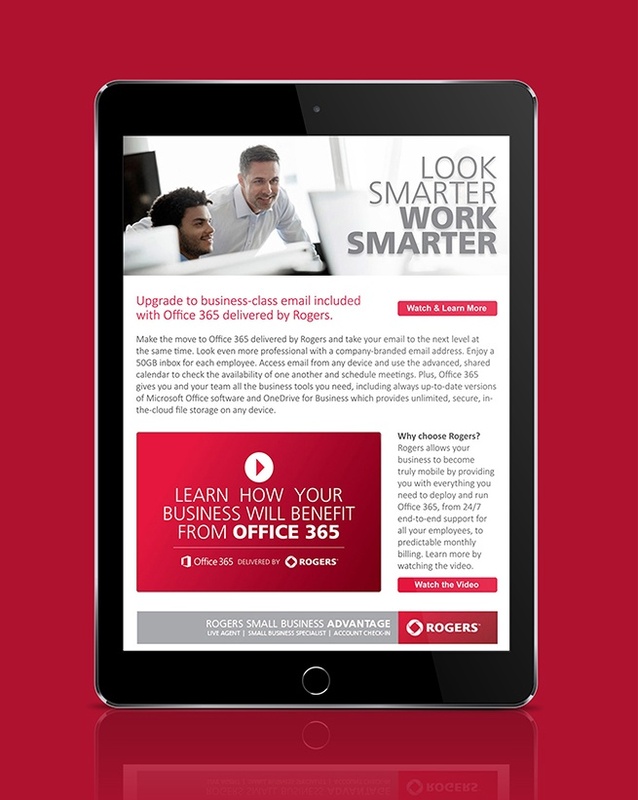 To make SMB customers aware of Office 365 and its benefits, and convince customers that Rogers was the wise choice to provide the product. An integrated campaign was created by GET LIFT Agency. The campaign consisted of email, video, a website, whitepapers, magazine ads and a PowerPoint presentation. 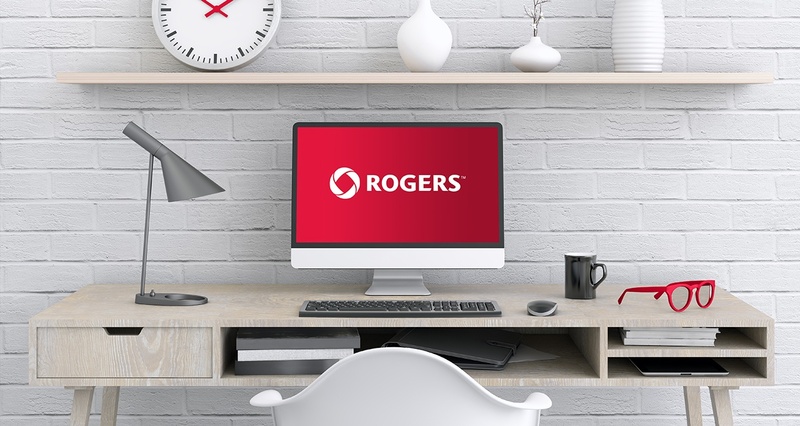 A nurture flow of three emails introduced customers to the business benefits of adopting Office 365 and highlighted why Rogers was the ideal supplier to provide it. Readers of the emails were then encouraged to click on a video link to get a more detailed perspective of the benefits. 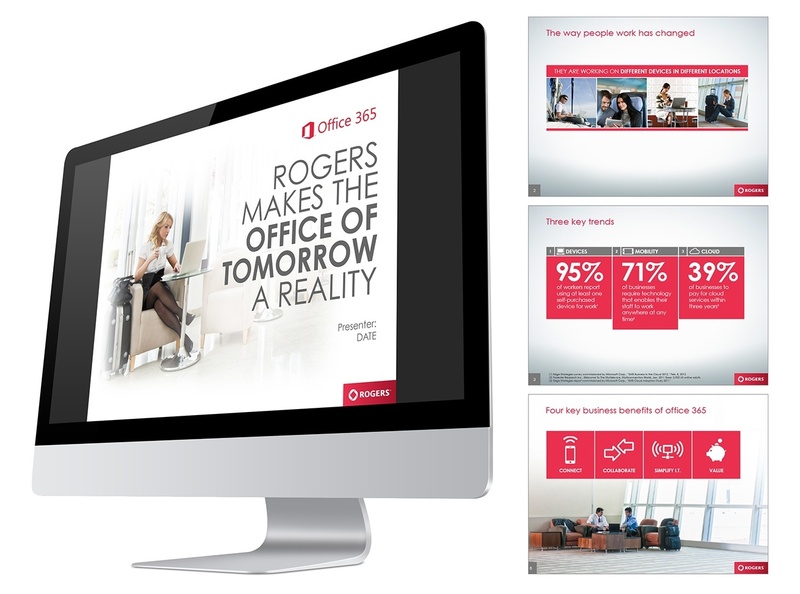 An explainer video was created that was structured in three parts: (1) to explain what Office 365 was, (2) to show how much Office 365 could reduce various business costs and enhance productivity, and (3) to underscore why companies should choose Rogers as their third-party integrator of Office 365. 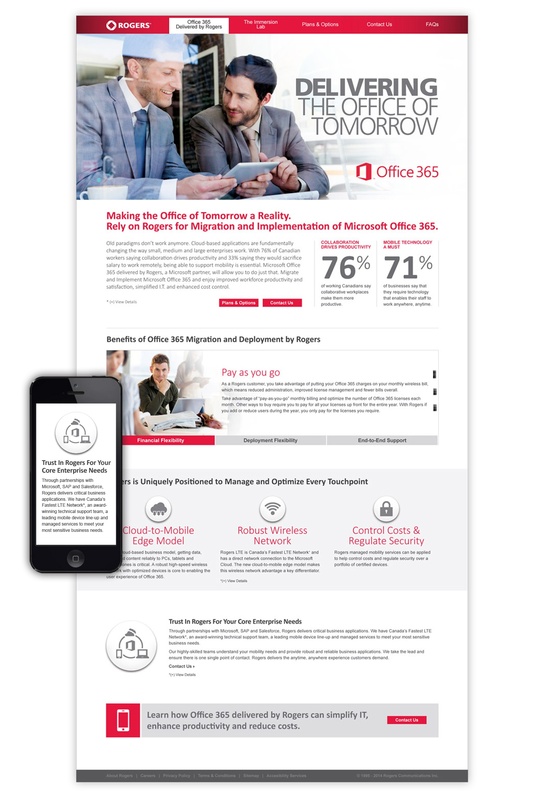 A microsite was designed to serve as an online destination for SMB customers interested in knowing, in greater detail, about the features and benefits of Office 365 delivered by Rogers. 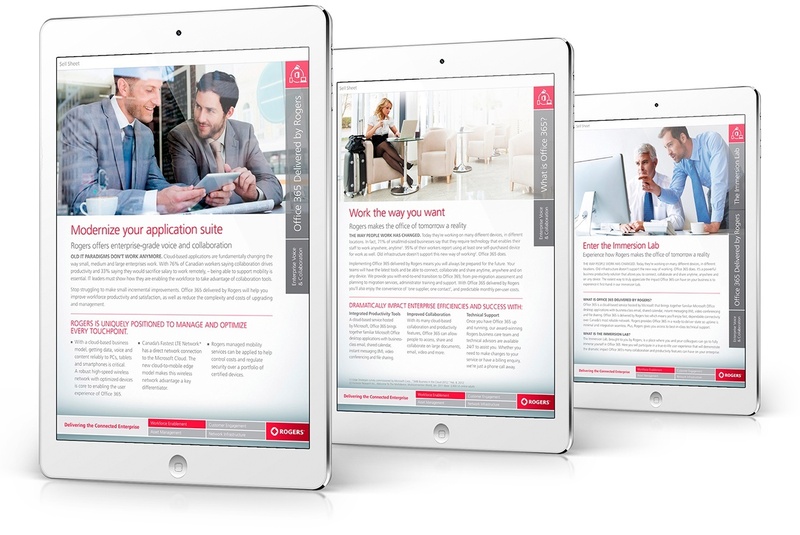 Once a customer’s primary business need was determined, they received access to an appropriate whitepaper. 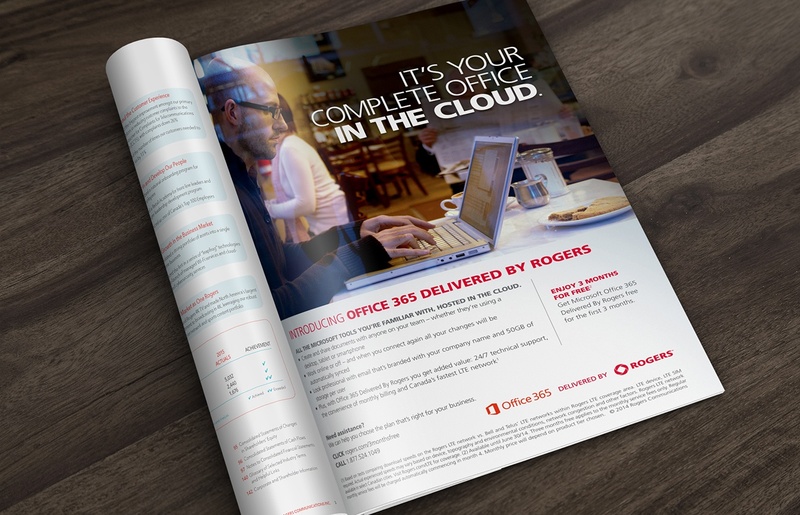 Each whitepaper focused on explaining how Office 365 delivered by Rogers was the solution for addressing a primary business need and how it could make a difference. 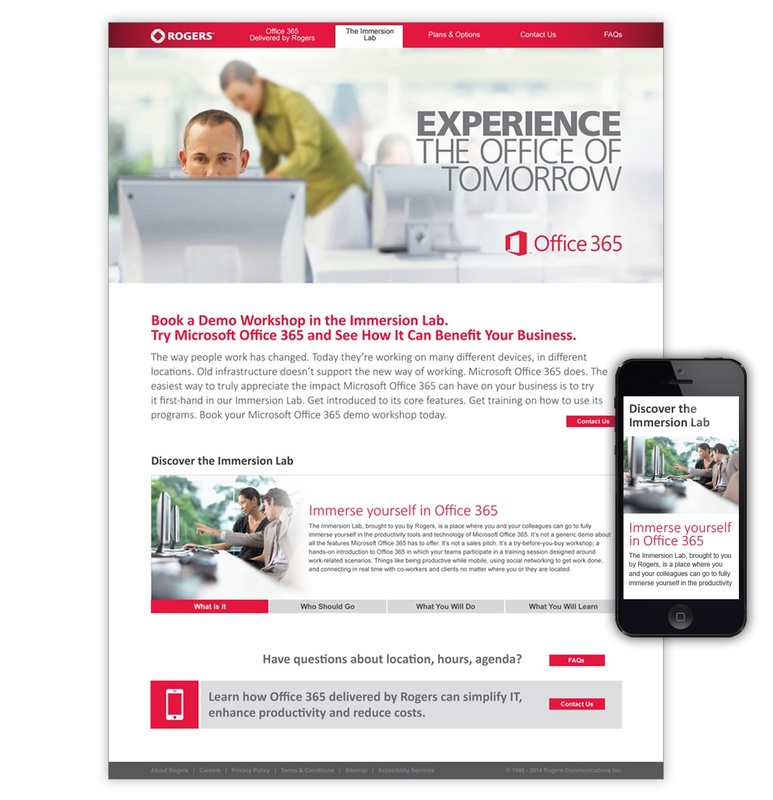 To assist sales personnel with the telling of the Office 365 delivered by Rogers story to interested prospects, a PowerPoint presentation was developed. The presentation touched on how working remotely is no longer a trend—it’s a reality, reviewed the cost of a traditional IT approach and illustrated how Office 365 was a proven solution that could lead to enhanced productivity and reduced IT costs. A series of magazine ads were also created. 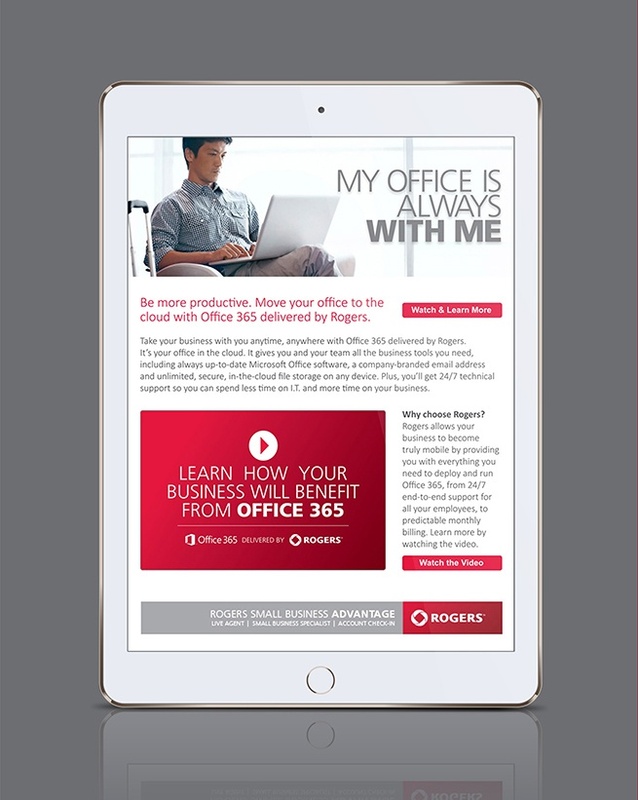 Each ad focused on a specific SMB business need and how Office 365 delivered by Rogers was the solution for addressing it. 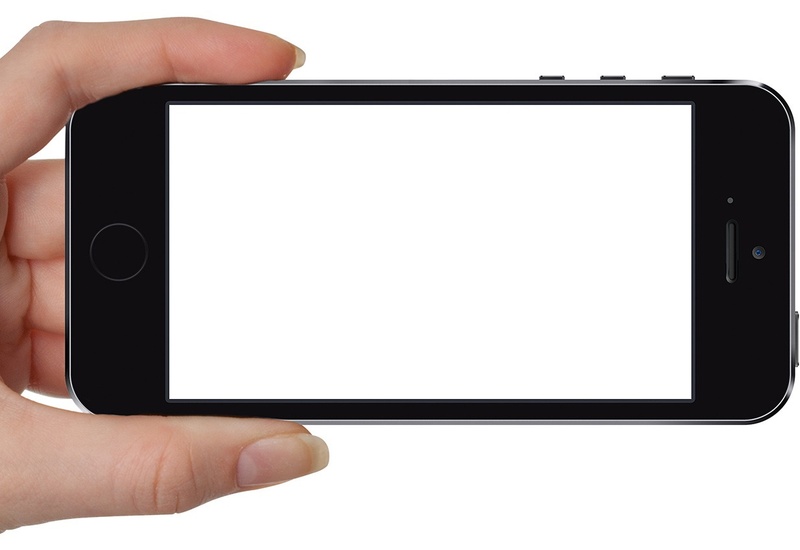 The ads were placed in B2B publications targeted specifically at SMB business owners.